This video consists of a few excerpts from live performances giving an idea of the sounds and texture of the music of Planetary Coalition. Founded by guitarist Alex Skolnick, the group includes a core team of musicians and artists in New York and will include special guests from across the world. The final recording will constitute of other international musicians from various countries, as explained in detail in our Welcome video. The beautiful artwork and graphics of Planetary Coalition, as well as compilation of its welcome video and others available for purchase on artistshare, is made by the incredibly talented architect and landscape architect Maddy Samaddar (of Nomad 9 Design, New York & Open Building Research, Italy,) who has worked on over 80 design projects in 15 countries in five continents. She will also be co-ordinating the project’s artwork and its ecological and environmental aspects. 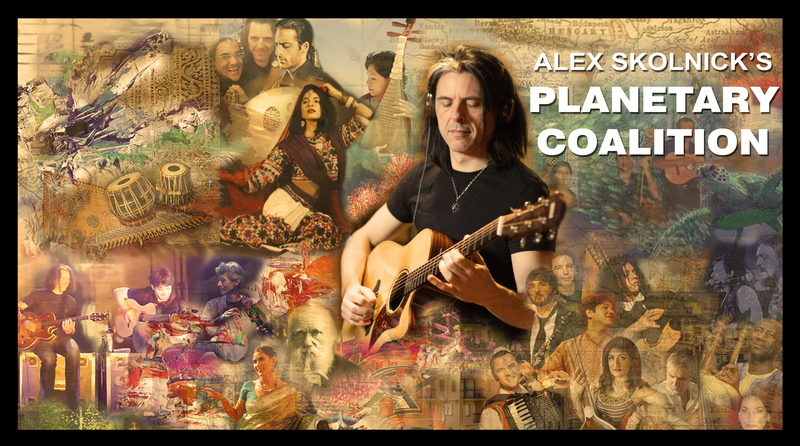 Thank you for your interest and we hope you’ll join us in this process, and on this musical journey with Alex Skolnick and his musical guests. As described in our welcome video, you can contribute through your ideas, essays, artwork, photos, postcards as well. An address will be placed soon for receiving mail on this site. 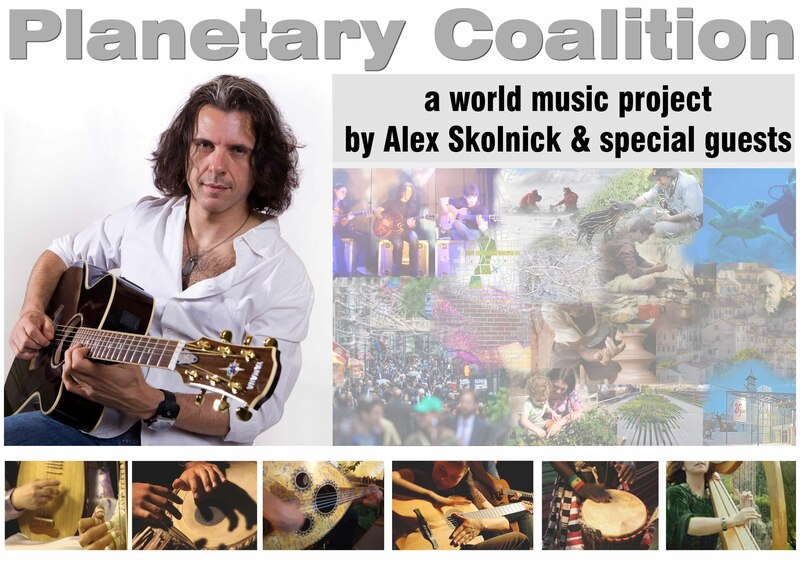 This August, Artistshare will officially launch Planetary Coalition as one of its projects. A “Welcome to the project” video coming soon! Stay tuned.